A new partnership between the two companies aims to recreate the event-style theatrical screening in a digital environment. Toronto’s IndieCan Entertainment and Vancouver-based digital platform dotStudioPro have partnered to launch a program that aims to recreate the indie theatrical experience in a digital environment. 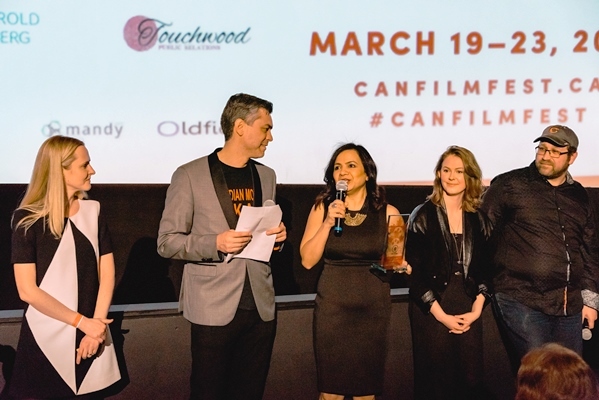 Using the dotStudioPro technology, IndieCan has created a site through which indie filmmakers can set up an official screening (at a set date and time) and sell tickets. Ticket-holders can then log on at the time the movie is set to begin, and use the comments function during and after the screening to discuss the film. The filmmaker can also be involved in the online discussion via the comments, or participate in a Q and A session via a live feed. 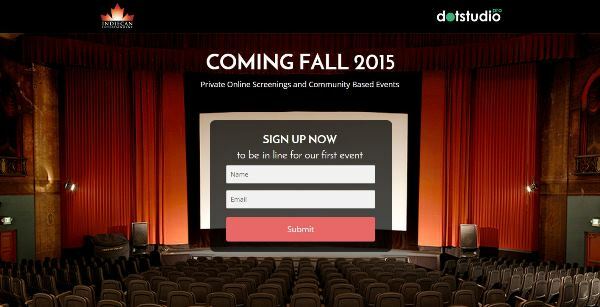 The first screenings through this new program are set to launch this fall. These digital screenings can also be incorporated into a filmmaker’s own Facebook page, where again audiences can buy tickets and log on at a certain time to view a film. This model is particularly well-suited to community groups or organizations that may want to give their membership an opportunity to see a particular film (especially in a group setting), but lack the resources or the ability to facilitate a theatrical screening, said Avi Federgreen, president of IndieCan Entertainment. “Not-for-profits don’t have boatloads of money where all their members can go to a theatre and pay $13 a ticket to go see a film. Or maybe they can get a screening…but only 10 of their members can come. We are giving them a different option,” Federgreen told Playback Daily. Federgreen noted documentaries tend to do well online, and this model could be ideal for doc filmmakers looking to get as many eyeballs as possible on their projects. One of the biggest advantages, he says, is that it gives filmmakers with a new way to host a theatrical-style event. With space in the national chains at a premium and indie screens filling up fast, screens are now full even three or four months out. For dotStudioPro, the partnership with Federgreen and IndieCan provided the company better access to industry players in Toronto, as well as an opportunity to test out new strategies, said Selena Paskalids, co-founder and CFO/CMO of the company. “We felt that it was a good working relationship and that we could explore great business models together,” Paskalids said.